Welcome to Training & Placement Cell at PDM University. PDM is a world class institution of Science & Technology. It has acquired this status through meritorious and innovative students, high quality faculty, and contribution by distinguished alumni. Our alumni have excelled in every field. PDM offers a large pool of talent to recruit from, with a wide range of specializations at UG and PG levels. PDM offers a large pool of talent to recruit from, with a wide range of specializations at UG and PG levels. PDM is in the radar of the Corporate. MNC keep hiring our students on a routine basis More than thousand students are placed in on/off campus drives during the recent past. Over the years, our students have become the preferred ones for campus placement by all leading organizations. Organizations are welcomed to visit PDM and for pre-placement talks or kindly allow us to visit your esteemed organization. We promise whole hearted support to your team (admin, logistics, transports, infrastructure etc)to ensure successful placement drives. We look forward to receive the team of your executives for recruitment at our lush green campus. To create a vibrant & happening cell at PDMCE, to make it a centre of excellence at NCR region & nodal centre for the placement activities in this part of the country & beyond. To create PDMCE as a preferred destination for MNCs to conduct their placement activities. To create a corporate friendly atmosphere in the college campus and to train & prepare the students, to face the rigors of professional world. TPO cell is a cell by the students, for the students & of the students. Hence, their involvement is a crucial for its success. 50% of the placement related information is brought to the cell by the students, as their future is involved in it. The cell activity is serving as a learning experience for the students to achieve skills in staff work and event management. To Assist students develop/clarify their academic and career interests, and their short and long-term goals through individual counseling and group sessions. To Assist students develop and implement successful job search strategies. To Work with faculty members, department Heads and administration to integrate career planning and academic curriculum as well as coordinate Project Work/ Summer Training/internship programs. To Assist students for industrial training at the end of fourth and sixth semester. To Assist employers to achieve their hiring goals. To Serve the community by providing access to our campus wide activities & career resources. To Empower students with life-long career decision-making skills. To Provide resources and activities to facilitate the career planning process. Up gradation of the students communication skills and personality development by inviting experts from outside for seminars/classes. To Assist our students in obtaining final placement in reputed companies. Creation of placement brochure and Data bank. Campuses-Joint, Small & Off Campuses. Sun Fuel Technologies Drive is scheduled on 12th Dec 2018, For B.Tech ECE/ME & CSE Final Year CTC 1.8 LPA to 3 LPA Profile Technical Sales Engineer. I Serve Labs Campus drive Conducted on 16th Nov 2018 For B.Tech CSE Final Selected five students for full time internship & Placement. Eazy ERP Solutions conducted Campus drive on 28th Sept for B.tech CSE and hired 13 Students as ERP Trainee On Stipend Basis. 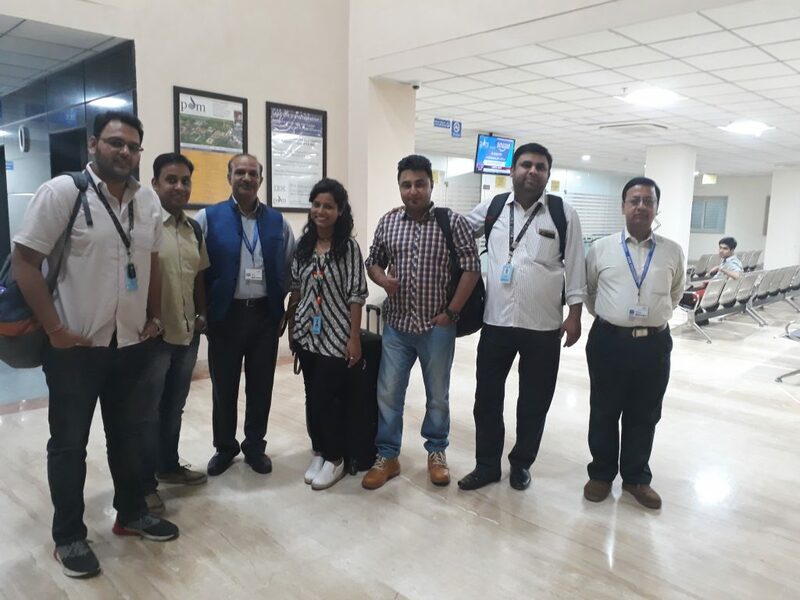 Wipro Technologies Off campus drive Conducted for B.tech /B.tech (SAP) 2019 passing our Students. Internship Opportunities Extended to All B.tech Final Year Through Internshala Web Portal Dated 11/12/2018 Stipend Up to 30K. Itelligence India Software Solutions Pvt Ltd off campus drive scheduled for B.Tech SAP 2018 Passing out Batch Date 3/12/2018. 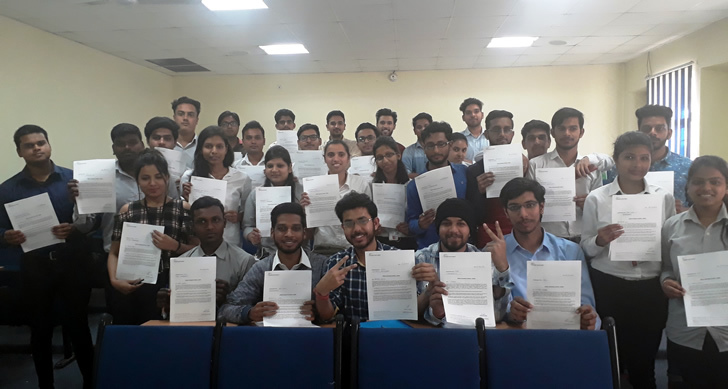 KVCH-Oracle Campus drive was conducted on For B.Tech CSE & ECE 2019 passing out batches on 27th Nov 2018, Total selection Four. 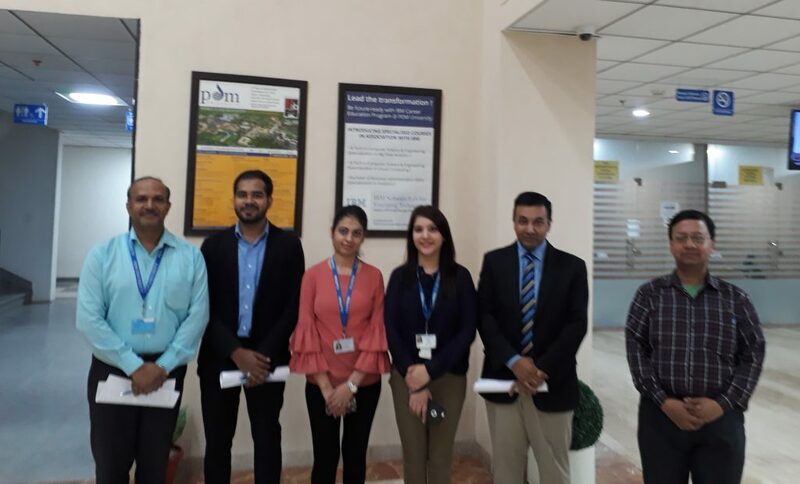 Zvesta On Line Conducted Campus drive on 26th Nov 2018 for B.Tech CSE Final year & Selected ten students for the Internship in Various profiles. DNS Group Off campus conducted for B.tech Mechanical 2019 passing out Batch Dated 1st Oct 2018. Tech Mahindra Offered Placement opportunities to B.tech 2018 pass out students in SAP Modules. ATL Foundation placement drive is scheduled in Jan 2019 for B.tech ECE & CSE 2019 students. AgreeYa Solutions Off campus drive was held for 2018 CSE pass out students. Amazon recruited 24 students of final year B. Tech, MBA, MCA, BBA, & BCA. 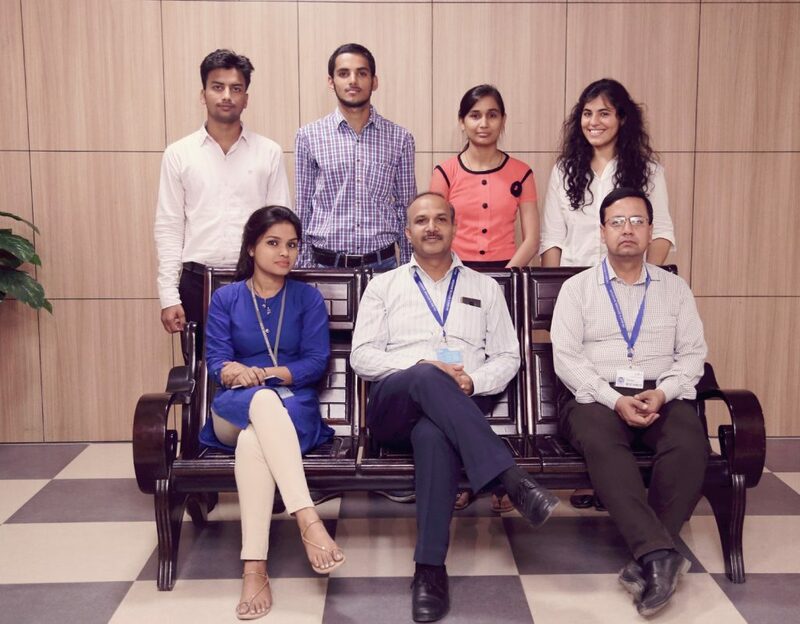 Diligent Tech, Gurugram recruited 6 students B. Tech. 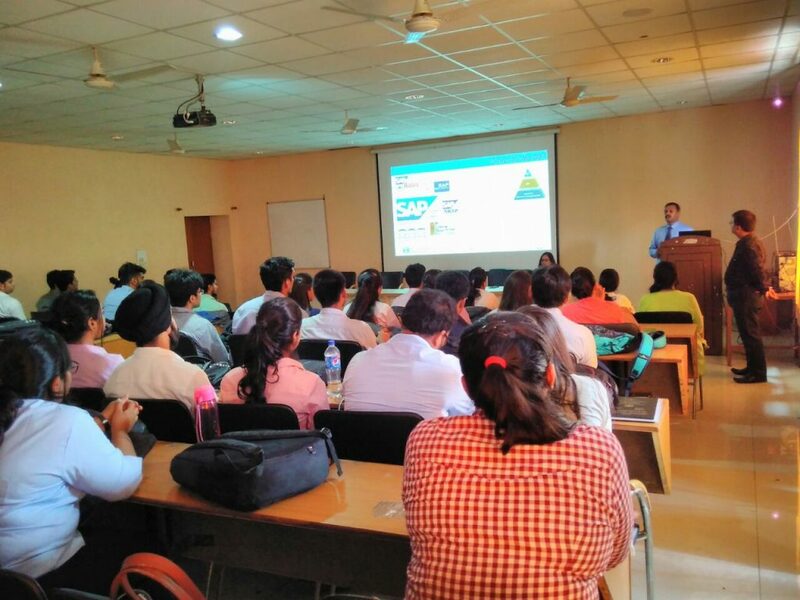 (CS, ECE) & MCA at CTC of 2.75 LPA in SAP domain through campus drive held at PDM University. Vinitech Automotive recruited B. Tech. – ME final year for Service & Technical Sales deptt. at CTC of 2.4 LPA. IKS Healthcare campus drive was conducted for BDS passing out batch. Package offered from 3 – 5.5 LPA. Qspiders recruited 20 students of B. Tech. – CS & ECE final year for software testing & JAVA domain through campus drive held at PDM University. Inxee Systems recruited polytechnic (ME, ECE & EE) for Gurugram based plant in production profile. Napino Auto offered core embedded profile to B. Tech. – ECE passing out batch. Xantatech offered online bidding profile to B. Tech. (CS & ECE), MBA & MCA. Relaxo Footware recruitment drive conducted in medical profile. Biological E Ltd. conducted campus drive for B. Pharma & M. Pharma passing out batch and selected 6 students. Offered a package of 2 LPA + incentives + daily allowance. Gracure campus drive was held for B. Pharma & M. Pharma passing out batch. Total 8 students were selected in R & D, QC and Production profile with the package of 2.16 LPA. Trident Information System Pvt. Ltd. Recruitment drive was held for B. Tech. (CS) & MCA passing out batch. Profile offered – Associate Technical Consultant. CTC offered – 1.8 LPA during training period. Trident Group recruitment drive is scheduled between 22 May – 27 May 2017 for BBA, BCA & Polytechnic students (Through Wheebox Online Talent Assessment Test). Package offered = 6 LPA. FirstNaukri – Employability Assessment online test is conducted B. Tech., MBA & MCA pre-final year students. Aptara Corp. recruitment drive was conducted for MBA – Finance students. CTC offered = 2.4 – 2.7 LPA for Trainee Financial Analysts. Altameta recruitment drive is scheduled for MBA & BBA final year students. Profile offered = Sales Executive. CTC Offered = 2 LPA + incentives. Birla Sun Life is recruiting BBA & MBA for its summer internship programs. Treatment Traveller (Medical Tourism company) recruitment drive is scheduled for BDS. Unique SprayTech Engineers conducted recruitment drive for B. Tech. – ECE students final year students for GET Trainee. Finoit Technology offered B. Tech. (CS, ECE) & MCA students the profile of Trainee Software. CTC offered 2.4 LPA after training. SIG Systems Pvt. Ltd. Offered internship program to MBA & BBA students. Field Data offered Software Trainee (JAVA) profile to B. Tech. (CS) & MCA. MRI Pvt. Ltd., Bangalore offered SAP profiles to B. Tech. – CS. Agreeya Solutions recruitment drive is scheduled for B. Tech. (CS) & MCA final year for the profile of Trainee Software Developer. Telecolor offered Technical Consultant profile to B.Tech. – ECE & BCA. Pericent Technologies offered JAVA Developer profile to B. Tech. (CS) & MCA students. Techolution is planning to recruit SAP / Cloud Computing & JAVA background final year students. 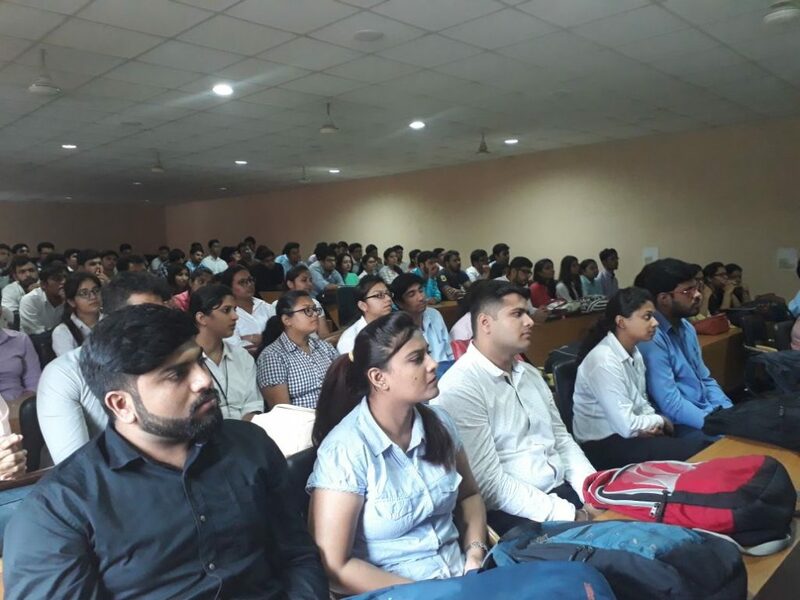 Indian Market View recruitment drive conducted for MBA – Finance final year students. Zillonlife Global Pvt. Ltd. Offered Summer Internship to the students of MBA & BBA. Kixx Media Pvt. Ltd. offered 6.5 LPA CTC to MBA passing out batch for the profile of Executive Manager – Client Relation. UrbanClap offered 3LPA CTC to MBA / BBA final year students. Continental Engines offered Diploma Apprentice Trainee profile to Polytechnic – ME & Automobile students. Usha Power hired Polytechnic final year students of Electrical branch. SmartPrep India offered summer internship program to MBA final year students with stipend 20k. 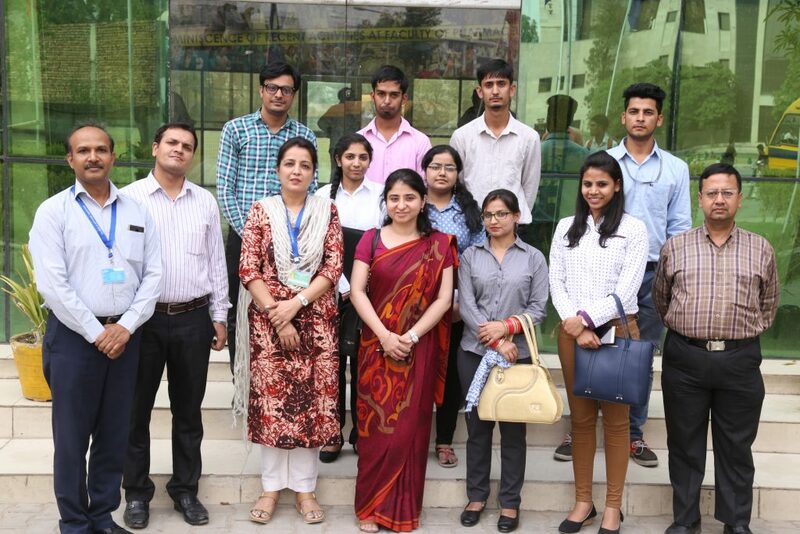 Vedurkids offered summer internship program to BBA & MBA students. Indo Alusys recruited SAP trained students of B.Tech CS final year. Amazon conducted the Campus Recruitment for final year students of B. Tech, MBA, MCA, BBA, & BCA. A Team of 8 members conducted the whole selection process. The selection process was done in various rounds Including Pre placement Talk, Online Test , Versant Rounds & Personal interview. Campus Recruitment Derive for B. Pharma & M. Pharma Graduates Gracure Pharmaceutical Ltd.